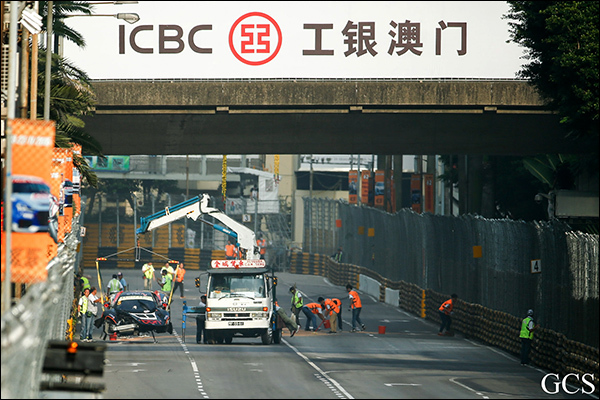 Stefan Mücke (Craft Bamboo) claimed pole position for Craft Bamboo and Aston Martin with a lap around the 6.2km Guia Circuit in 2:18.032 for Saturday’s FIA GT World Cup Qualification Race. 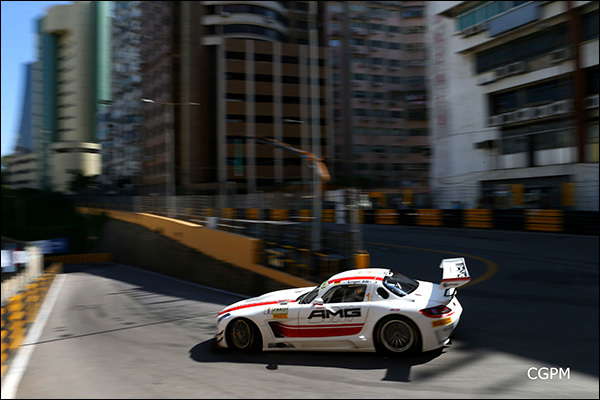 Mücke, making his second visit to Macau, having finished 8th in 2012, snatched pole in the final flying lap of the session. 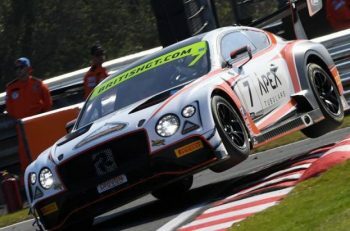 As all eyes were on the Audi R8 LMS of Italian Edoardo Mortara, the German was on a charge in his Aston Martin Vantage GT3. 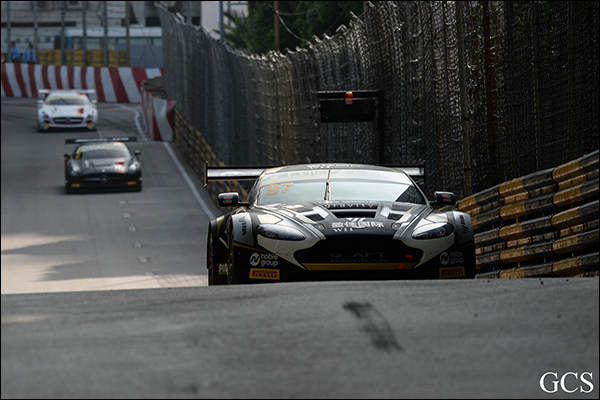 Mortara will line up alongside Mücke for the 12-lap race which will set the grid for Sunday’s inaugural FIA GT World Cup and the 8th running of the Macau GT Cup. 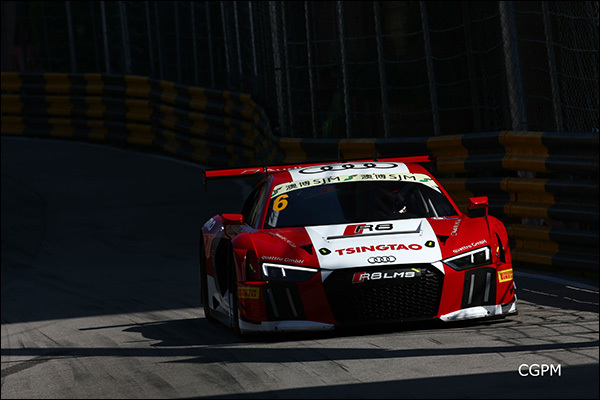 Behind the pair will be last year’s winner, Maro Engel, one half of the Mercedes AMG Driving Academy entry, and Audi’s René Rast, who is making a strong debut in Macau. 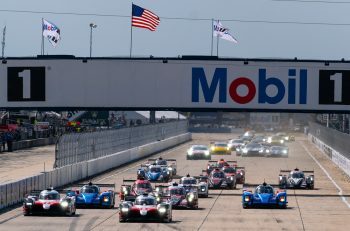 The session was interrupted by red flags no fewer than three times; first when Engel crashed at Mandarin having taken provisional pole. The session resumed but minutes later, his team mate Renger van der Zande crashed the second Mercedes at Paiol, bringing out the red flag once again. With a little under 12 minutes remaining, once again the cars took to the track, Audi implementing a clever strategy to give Mortara clear track ahead and behind for a serious attack on pole. However, the plan was stymied when FFF Racing Team’s André Couto crashed heavily at Mandarin, ricocheting between the Armcos and, although unhurt, destroying his McLaren 650s GT3. With just over six minutes remaining on the clock, the stage was set for an epic final battle for pole. As Edo set off on the hunt, setting the fastest times in Sectors 2 and 3, and bettering Engel’s best lap, Mücke was busy stealing the Italian’s thunder, slamming in the perfect lap to secure pole and laying down the gauntlet to his rivals.